STAR TREK® and its related trademarks and logos are owned by CBS Studios Inc. Trek Radio, the website, the promotion thereof or any exhibition of material created by Trek Radio is not endorsed, sponsored or affiliated with CBS Studios Inc., Paramount Pictures Corporation or the STAR TREK® franchise. Trek Radio is the internet’s first radio network dedicated to the science fiction community, featuring a wide variety of popular music, podcasts, radio dramas, live DJ programming, and the latest in entertainment news. The station regularly hosts live interviews with a range of Star Trek and Sci-Fi celebrities; providing coverage of Star Trek events from around the world. This past year, their staff broadcast on location from as far as Germany, to the Kennedy Space Center, and all the way back to San Diego and Las Vegas. We have nearly ten thousand unique listeners each month in over 115 different countries from around the world. We deliver over half a million minutes of content every month via our on-air audio stream, Livestream video, and premium on-demand content (such as interviews and event coverage). Trek Radio uses social media to build a positive presence and increase our listenership. In fact, the official Facebook page has received more than thirteen thousand post views in the first quarter of this year. Radio advertising offers your business a unique combination of high reach, high targetability, and low cost. Radio builds long-term brand dominance as radio messages are repeated more often and have lower levels of avoidance. Rotation and campaign length both contribute to your brand name being strongly established in the listener’s mind. Don’t have an existing commercial? If you do not have the facilities to produce your own advert in house, Trek Radio is proud to offer a range of options for developing and producing your advert. We have access to professional voice actors and studios in several countries. Contact us for pricing on a complete solution to fit your needs. Each advert location is available in two campaign categories: in rotation and an exclusive run. The first puts your advert into rotation with a maximum of five other advertisements. The second guarantees your advertisement will run exclusively in that location for the duration of your campaign. Trek Radio offers a broad range of individual advertising solutions and affordable packages designed to give you the best value for your money and widest possible exposure on our international radio network. We look forward to hearing from you very soon. 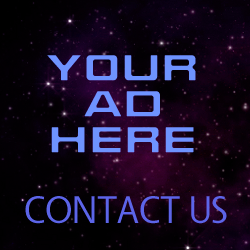 Please feel free to contact us for our 2013 Advertising Rate Sheet at info@trekradio.net if you have any questions or concerns.